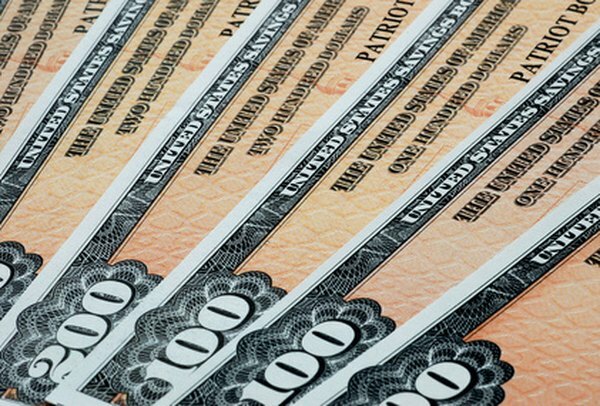 You can cash up to $1,000 worth of savings bonds at any bank. The traditional place to cash a U.S. savings bond is at your bank. Almost every bank will cash Series EE and Series I bonds as a service to customers and the U.S. Treasury. To cash a bond at a bank where you do not have an account is possible within certain limitations. Although under certain circumstances it is possible to cash a savings bond at a bank you are not a member of, it's best to take your bond to the financial institution you already do business with. A bank will only cash bonds of which you are a registered owner. You may be either the sole listed owner or a co-owner. The U.S. Treasury regulations also require that the Social Security number of the owner be listed on the bond. It is possible to write in your Social Security number, such as on a bond received as a gift. The bank officer is required to see you sign the bond in her presence, and the signature should read exactly the same as the name on the bond. To cash a bond at a bank where you do not have an account you will be required to show verifiable picture identification such as a driver's license or state-issued ID card. The bank officer will note on the bond the type of identification, including the number and issue date. The maximum dollar amount of savings bonds a bank can cash for a non-customer is $1,000. If your savings bond has a redemption value of more than $1,000, the bank will not redeem it. You can cash several smaller bonds as long as the total is less than $1,000. A bank will cash a savings bond worth more than $1,000 if you can be identified by someone who has an established account at the bank. The rules require that the person with the account has known you for an extended period of time; a casual, short-term acquaintance will not qualify. The bank is required to list the identifying bank customer on the bond including the person's address, how long he has known you and the type of relationship. The U.S. Treasury will redeem savings bonds by mail, sending you a government check for the cash value of the bond. To use this method to cash a bond, you must first go to a bank -- any bank -- and have your identification verified on the bond by a bank officer. The mail alternative allows you to take a large value savings bond to a bank where you are not a customer, have your signature verified and receive payment by mail. The mailing address you'll need to use to cash in your bonds is: Treasury Retail Securities Site, PO Box 214, Minneapolis, MN 55480-0214. Can You Cash in Non-Mature Savings Bonds? Can I Deposit a Series I Savings Bond? Can You Get Money for Savings Bonds the Same Day You Turn Them In? Can I Transfer Series I US Savings Bonds?